Belief always invites in anxiety, no matter how small it might be, because when we are speaking of belief we are addressing possibility and a security that knows only hooks of clouds, ideas and thoughts laden with securities. The presence of possibility calls us to the crossroad of a thousand worlds where choice and opportunity presents itself. Kirkegaard saw in this form of anxiety an existential dread, which he described as being known from the dizziness it ignited in the believer. The dizziness experienced in front of choices, the dizziness given unto us as we realize we have option, the dizziness that occurs when a spirit takes possession. It is all encoded in anxiety. Anxiety is noticed by unrest and distress of mind, just like an earthquake announces a shift in the well known permanence. The anxiety of possibility opens up a field of creativity and discoveries by virtue of its sign, symbol and presence that shakes the permanence. Commonly we reflect and deflect this anxiety in opinion. An opinion is a statement, a temporary diagnostic of a world view and never ever a statement of truth, simply because a truth can never be stated in truth. Truth is far more fluid and complex than what we can find in statements and opinions. Perhaps truth itself is veiled in the anxiety of possibilities, being this obscure maiden of veils hiding in the network of pathways that connects the world’s wells? If so, this explains why belief so often opens for anxiety, because if truth is not a constant and belief is a child of possibilities, constants like history and identity starts to become flickering lights in a shadow dance upon the abyss we gaze upon and feel dizzy in the presence of. This abyss is the crossroad of possibilities where we can succumb for dream or accept the creative grist. Belief is perhaps an abyss, which is why opinions and statements enter so easily. They are like hooks, nails and crooks, solid soles and a fast grip on what is solid for the mountain climber. But belief is not the wall of a mountain, belief is heart and air and no hooks can really turn belief solid as a mountain, because this is not what it is made from, because this would be like asking air to be earth and heart to be bone. 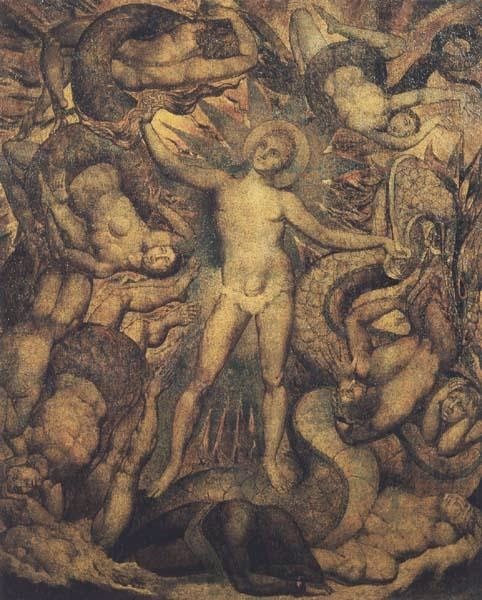 William Blake told that the man who is not able to change his opinion will breed lizards of the mind – it is a vital observation – because when I say ‘you are that’ and anxiety raises its head and give way for anger, resentment or acceptance – what does it matter what I say when it is your belief that is at stake? No one can destroy your belief but yourself, but anxiety of this belief enters when you are still and present questions in soliloquy, and allow yourself to enter into the field acceptance and challenge share between then, the canvas of possibility framed in anxiety. We all have a belief of what is true, what is good, how the world works and who we are. But as Heraclitus told, ‘we can never enter the same river twice’ because we are and live in a river of transformative fire. If it is like this, the explanation that rests between cause and effect will always belong to the field of possibility, which is noticed by its anxiety, no matter how we experience it. Anxiety can be an arousal, a shutdown, a yes and a no. To lose all fear is too loose anxiety, but how can we lose all fear? I don’t know how to lose all fear, but I know that loss and gain both start with acceptance. If I tell you that you are beautiful and you feel ugly a field is opened up in this field and in this land of possibility rests anxiety as a gate for doubt and analysis. This anxiety addresses opinions and opinions is a product of belief – and never truth, so If opinion where not an option and if you where but a shade of possibilities, dumb and mute, with no will or force to speak the turbulent silence in your soul, what would be your words to describe this anxiety, this emotional arousal? As life goes on and we become experienced in life - opinions, truth and anxiety tend to become more and more playful – because we realize that nothing is static. Everything moves and is transformed, it be the atom or the compost making new connections constantly. We are a constant change and no opinion, no statement will ever knock truth into the table as a hammer does with a nail – and even this imagery is but a statement, proper for its situation. The hammer has little meaning when we are making a cake as little as the nail have a purpose when a book is written – save for its symbol and representation. Yet, a thing and its representation is indeed a symbol and not always the thing itself but what it represents. If you believe you are what you are, anxiety awaits at every corner of your mind and every corner of the city. If your belief is a truth, this truism will be attacked constantly in the name of permanence. It is only in that moment when you stop running; when you stop reacting, that this anxiety finds a creative route towards bliss in impermanence and in our acceptance of the impermanence of being. Then life has become a river and we have become the flow, force and essence of the river of life.